HARTFORD, Conn. -- Ja Morant dazzled for a half, but the star point guard and 12th-seeded Murray State got run out of the NCAA Tournament by Florida State. 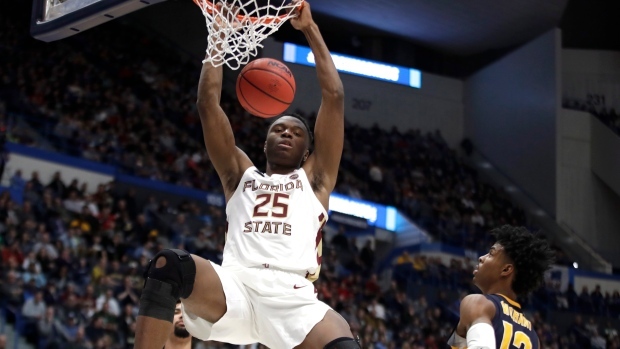 With Florida State forward Phil Cofer watching from the bench just two days after his father died, the Seminoles made good on a vow to honour their teammate and his family with their play. They couldn't have been much better, overwhelming the Racers (28-5) with their size, speed and depth. The Seminoles came into the game shooting 33.4 per cent from 3 223rd in the nation -- and then hit eight of their first 11 from behind the arc. Known for their defence, the Seminoles were playing fast and getting good shots. Florida State had a 16-point lead at the half and it didn't get much better after the break.